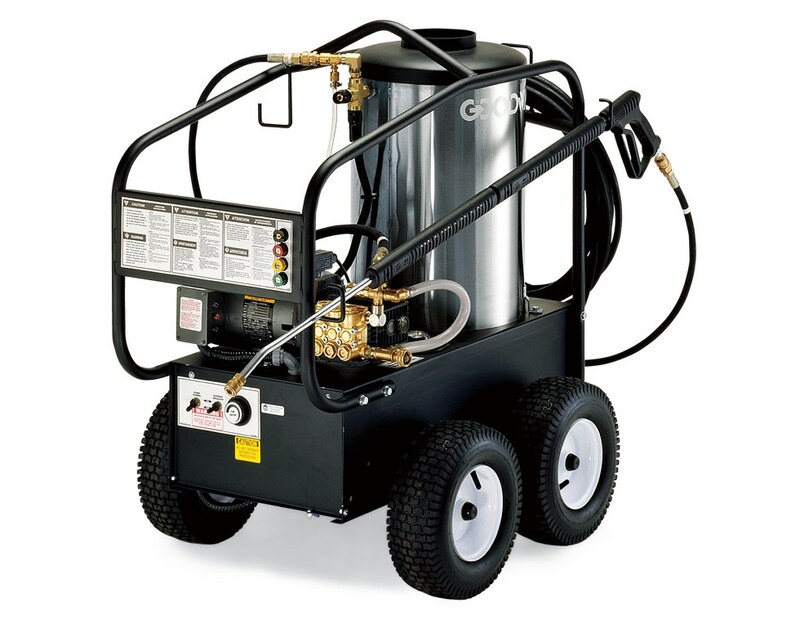 When you need extra cleaning power, HPW-2000-E Hot Water Pressure Washers provide it with heat. Each unit comes equipped with a plated steel wand, a soap injector and four quick connect nozzles. 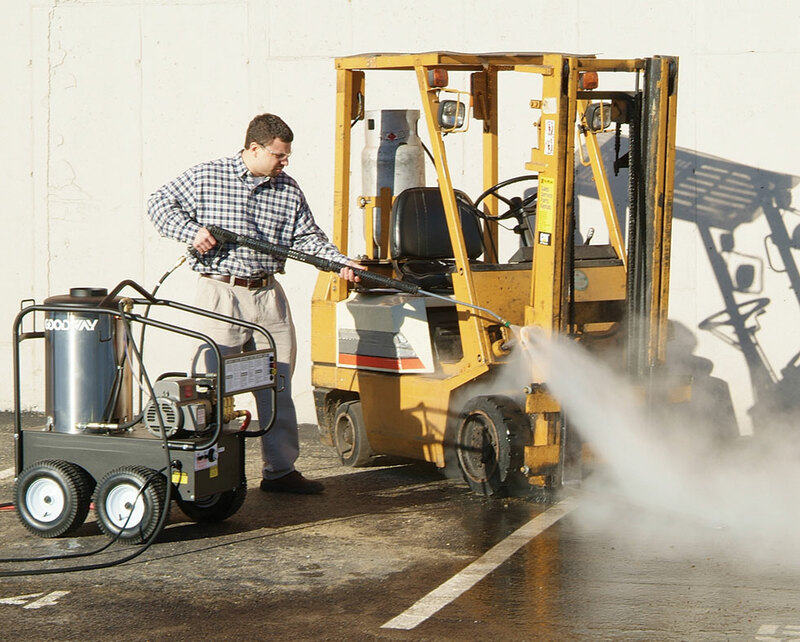 The HPW-2000-E is powered by an electric motor and heats water to 185°F through a Beckett diesel burner.